C-Peptide Complex provides a potent dose of free radical scavenging with a powerful blend of L-Ascorbic Acid and an active blend of our collagen-boosting peptide, and dry marine collagen. The rejuvenating benefits of C-Peptide Complex gives you a daily dose of Vitamin C and essential protein. This all-important complex is a must for every skin for continued support against free radical damage and to strengthen skin tissue, while increasing collagen production. HOW TO USE: Apply each morning after cleansing. Place about 3 to 4 drops on skin and smooth in. Moisturizer and Daytime Defense SPF30 may be used after C-Peptide Complex has absorbed into the skin. 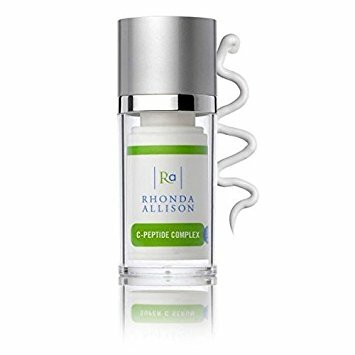 If not using another corrective at night, C-Peptide Complex may be applied twice a day. It may also be mixed with an epidermal growth factor or moisturizer for more sensitive skin.